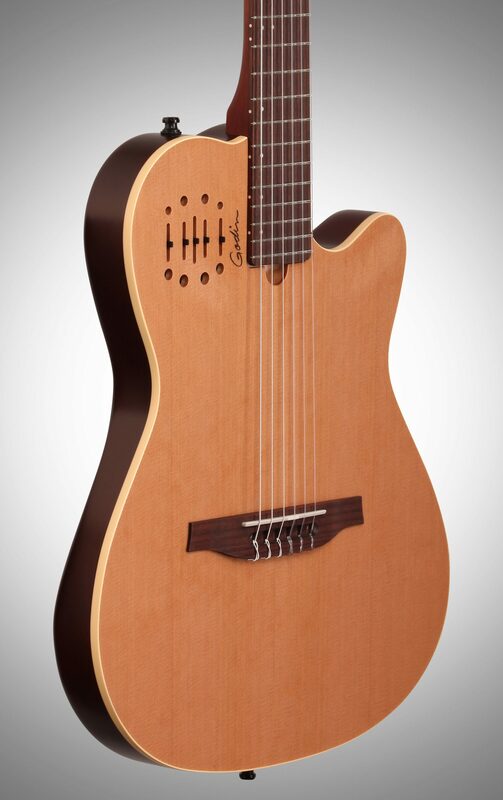 The Godin Multiac Encore is equipped with custom electronics by EPM. This easy to use Blendable Dual Source System features an undersaddle transducer as well as an acoustic soundboard transducer, with the ability to blend one into the other. 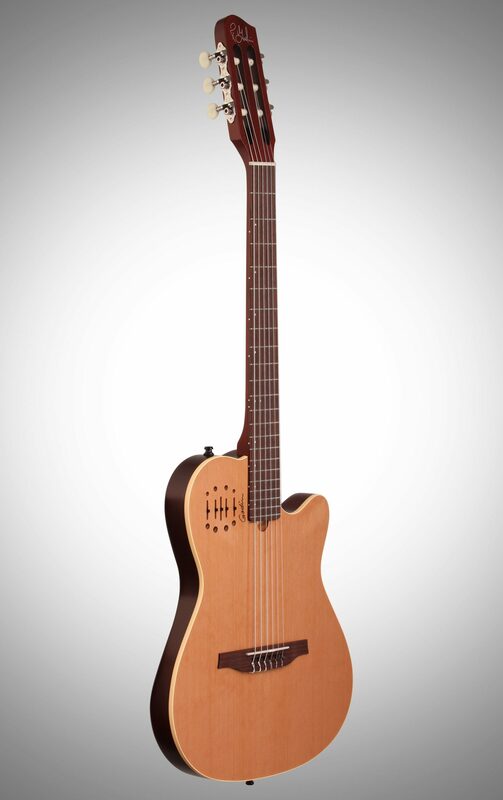 Ideal guitar for players looking for a an incredible, amplified nylon string sound and feel in a live and loud band setting with virtually no feedback. 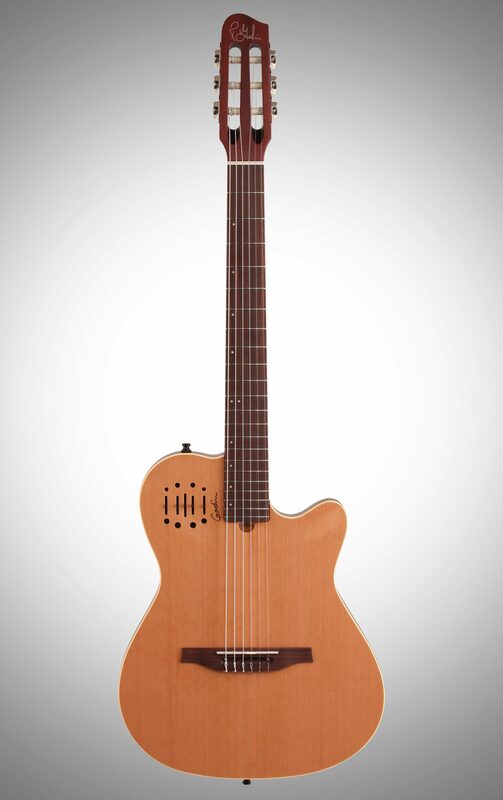 The Multiac Encore nylon string, also features a 25 1/2" scale and a comfortable nut width, making it easy for electric steel string players to transition to nylon strings. 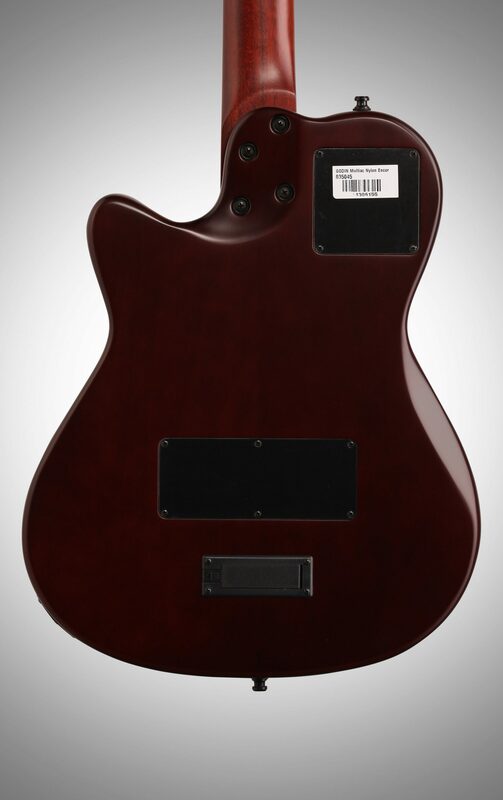 This model features a chambered silver leaf maple body with a solid cedar top, as well as a dual source preamp with volume, treble, mid, bass and blend control sliders. - Electronics: Blendable Custom Dual source electronics with under-saddle transducer & acoustic soundboard transducer. 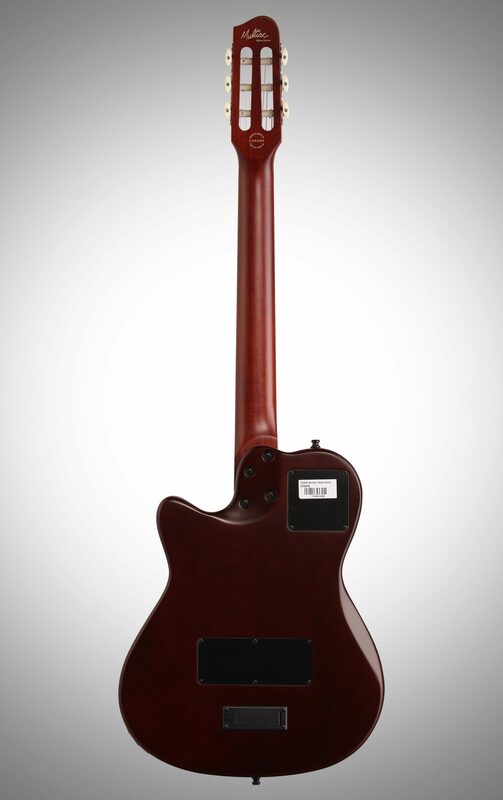 "Top notch guitar, for a certain player." 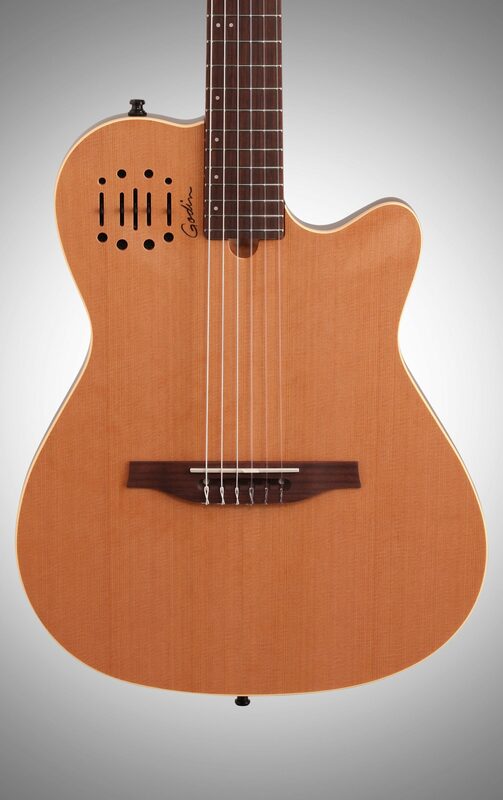 Overall: These instruments are beautifully made by Godin, and play like a dream. 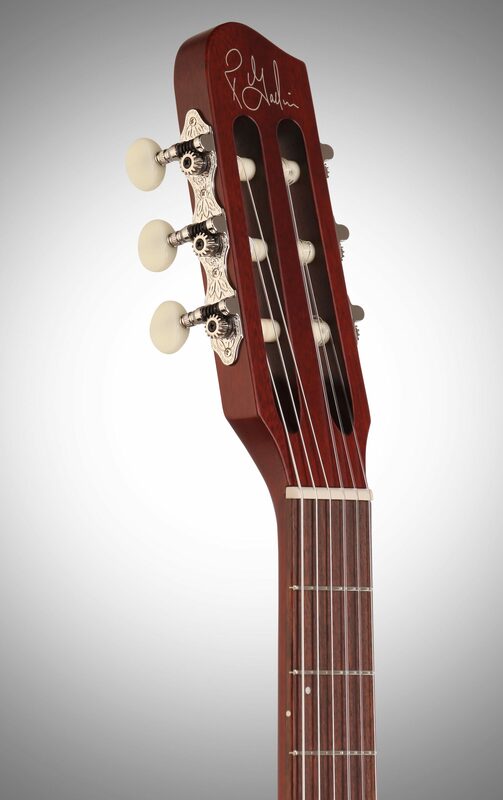 They amplify well, and you can get a very nice tone, with some variation. It can be bright, or kind of rich and mellow. 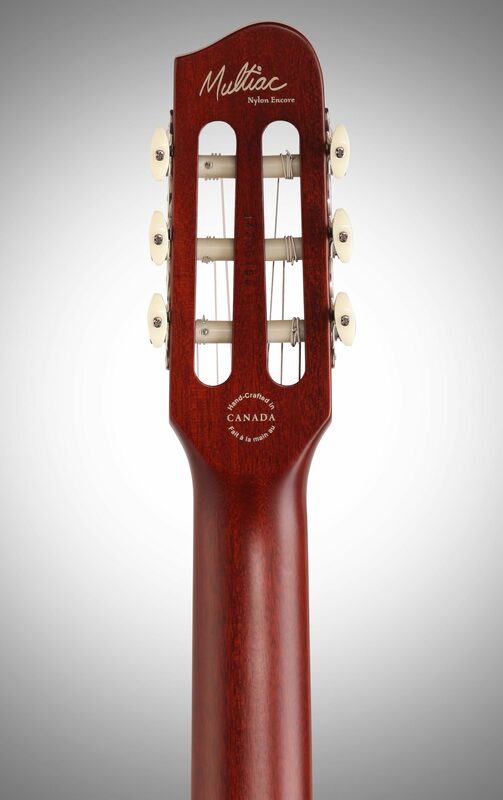 It's good for finger style guitar, whether jazz or folky, certainly classical players would find it odd, but could get a great sound if they wished. It also works well for gypsy jazz style lead and of course Willy Nelson songs. Mine was a deep discount "blemished", but I can't find a thing wrong with it. Also zZounds shipped very quickly. Very pleased with the whole experience. Style of Music: Rock, blues, swing, oldies, rockabilly, old school soul. 40 of 41 people (97.56%) found this review helpful. Did you?